Speedmonkey: Does Anyone Know the Number for Petrolheads Anonymous? Does Anyone Know the Number for Petrolheads Anonymous? I may have a problem. I’m not sure whether or not it’s a serious one, but I believe I have a problem nonetheless. Now, before you start posting comments below suggesting for me to begin meeting with a personal therapist, allow me to explain myself. I’m not insane, and I don’t have any psychological issues. Well, there may be one. You see, I have something that I like to call petrolheadolism, and that might be causing a few problems. I first realized that I may have petrolheadolism about one week ago. It was the beginning of June, and amidst the sneezing and cursing Claritin for what I believed to have been false advertisements, I was trying to study for finals. And when I say trying, I mean trying to memorize at least one vocabulary word before I found myself having read another twenty pages in my classic car encyclopedia. Seconds later I found myself scanning countless forums and classifieds as I searched for the selling price of a 1985 Saab 900 Turbo. What I say was very encouraging, 900 Turbos in great condition were selling at about £2,000, and more than 900,000 cars produced meant there shouldn’t be a shortage of 900s. But there was a problem. 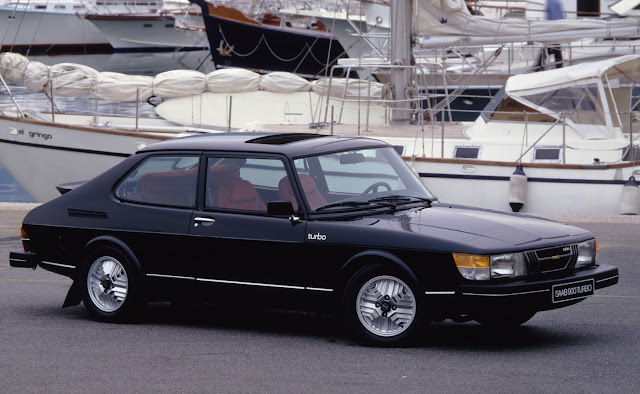 In the real world, buying a 1980s Swedish car is not necessarily the smartest decision one can make in their life. For example, horsepower figures that you may have poured over as a kid will have decreased over the years. The car may have been advertised at a few grand in the classifieds, but a few more zeroes are expected so that the car will work properly when you want it to. And it’s not just the Swedish cars that cause this sort of stress. As petrolheads, many of us have had to experience the taxing trials of owning cars that, while greatly enjoyable, were extraordinarily stressful to maintain. Many Italian cars are notorious for their high running costs. Air conditioning, transmission, engine reliability, at some point they all seem to hit the fan. But that is what defines petrolheadolism; willingly buying cars that you know will require servicing that causes a loss of hair simply because you admire everything about it. Although the wife may be in complete disagreement and your friends may question your sanity, you made the decision to buy the car because you love the way it looks, the way it sounds, the way it drives, the way it is. It’s devilishly simple to buy cars such as the Toyota Camry purely for their reliability but the fact of the matter is that there is nothing special about such a car. That is what makes a petrolhead and your everyday car buyer different; a standard buyer is only worried about getting from one place to the next, whereas an enthusiast wants to enjoy the journey there. You can’t enjoy the journey in a Camry. So, if you’re like me and your petrolheadolism is causing you to think you may be preparing yourself for a very poor decision, you’re not. As cheesy as it may sound, embrace your petrolheadolism because if you are an enthusiast, it’s actually preparing you to make the best decision you’ve ever made. Happy motoring.